Hidden Figures is the story of the impact black women had on NASA's space explorations, and it hits theaters nationwide Friday. The film focuses on three black women who worked in the math department at NASA in the 1950s: Dorothy Vaughan, Katherine Johnson and Mary Jackson. And even though this movie is based on a true story, it might feel like make-believe because our history books never taught us that these women existed. "It's about damn time!" Octavia Spencer (who plays Vaughan) said on the red carpet for the New York City premiere. And she's right! It is about time that we learn not only about these three pioneers but also about other black women who have contributed to our development in STEM (science, technology, engineering and math) fields and set the tone for us to dream bigger than what we see in front of us. Spencer continued, "The fact that none of us knew their names says a lot about history, but we're rewriting it." It's the rewriting of our history that's allowing us to be a part of it because, guess what—we were! Our futures look a lot brighter because of women like Johnson, Jackson and Vaughan who were fearless enough to do the groundwork. We now have women like Shelia Nash-Stevenson, Ph.D., a NASA engineer who continues to break barriers; and Stephanie Wilson, a NASA engineer and astronaut! 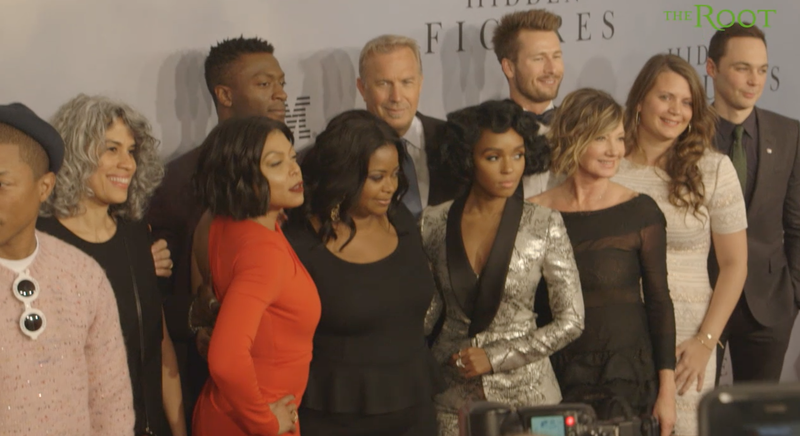 The Root chatted with several stars of the film as well as Nash-Stevenson and Wilson at the Hidden Figures red carpet. Check it out!